The victory means Great Britain could clinch the tie with victory in the opening singles rubber on Sunday. 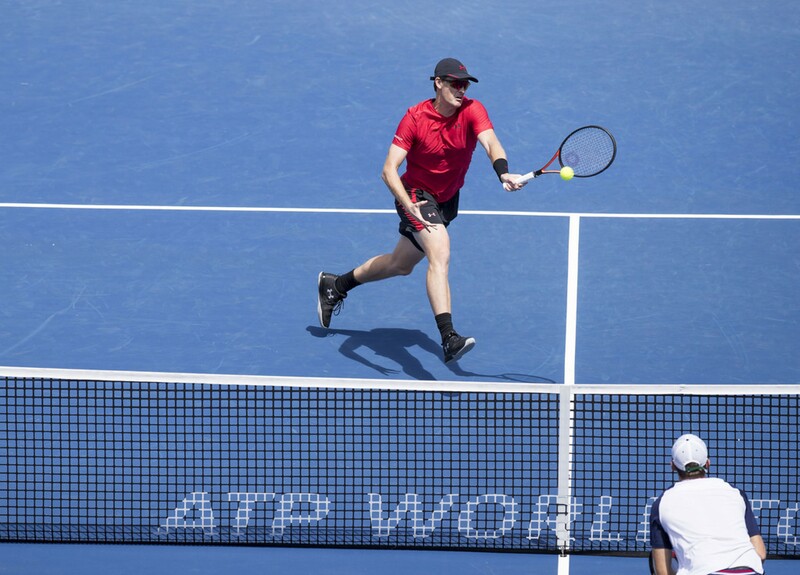 As Jamie Murray and Dominic Inglot stared down a set point to go two sets down to the makeshift Uzbekistan pairing of Denis Istomin and Sanjay Fayziev, Great Britain’s interest as a seed in next year’s Davis Cup qualifying round looked forlorn. Dan Evans had handed his side a dream start when he shocked the Uzbekistan number one, Istomin, in five sets on Friday, but the mood around the Emirates Arena in Glasgow – packed to the rafters on day two of Davis Cup action – had turned uneasy after Cameron Norrie blew a two set lead against world number 434 Jurabek Karimov to close play yesterday evening. That had heaped more pressure on the shoulders of Murray and Inglot – who lost in a disappointing effort to Spain in February – but they responded to the adversity in fine fashion, dismissing the Uzbekistan set point in the second set tie-break to triumph, 4-6, 7-6(8), 6-2, 6-3, in two hours and 54 minutes. Uzbekistan, clearly buoyed by the efforts of Karimov on Friday evening, were the sharper outfit during the early stages, profiting from a lack of return consistency from Inglot and, more surprisingly, Murray. 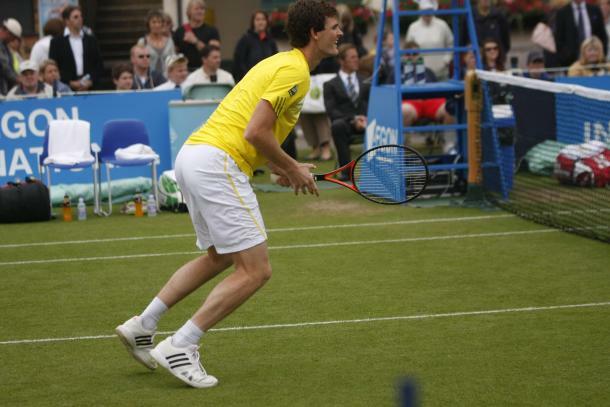 They laid siege to the serve of the Great British duo early on, breaking in the third game of the match to establish their foothold in the contest. So, too, were they finding the required consistency from the service line as they swatted away a 30-40 scenario for Great Britain in the eighth game of the match with three successive unreturned serves. The second set brought about break opportunities for both pairings, but action sprung into life during the tie-break as Great Britain squandered a set point on their serve. The Uzbek pairing were fighting for their lives and they very nearly put themselves in a commanding position when they carved out a set point opportunity. But Inglot, who served so impressively as the match progressed, bailed out his side with an unerring delivery out wide, and when Istomin found himself trapped in the ad corner with Great Britain closing in on levelling the match, he dumped a forehand into the net. The momentum of the match swung in that single forehand stroke from the world number 60; raising the decibel levels inside the Emirates Arena by a few notches and quashing any seeds of doubt in the minds of the British pairing. Such was the confidence now oozing through the veins of Murray and Inglot that they were able to fashion a break point opportunity from a 30-0 deficit in the third game of set three. Murray’s volleys are worth the admission fee alone and he brought the crowd to their feet with one of his best to seize the break for Leon Smith’s side. The third set whizzed past as Great Britain probed the Fayziev serve. Twice his serve was broken and Great Britain, a shadow of the unit they were in the previous set and a half, were within touching distance of restoring their advantage in the tie when the third set was sealed. A miracle would be required from Uzbekistan and it was fitting perhaps that it was Karimov who was roaring them on from the side lines. His encouragement was in vain, however, as Fayziev began to show jitters with an array of double faults. Attentions now turn to the deciding day of Davis Cup action, with Norrie seeking to clinch the tie – and a seeding in next year’s qualifying round – against Istomin to commence proceedings.